I recently got a mail from a friend seeking help for the various types of cheese available in the market. It’s good to know, the way people have started consuming cheese. Just browsing through “Dairy Products” section at super market will consume an hour of yours. In the process to find an answer, even I got a chance to learn a lot. 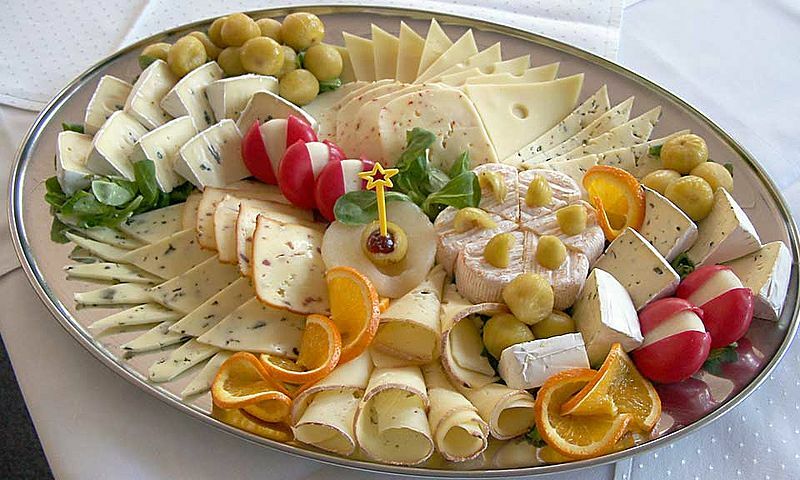 Cheese is one of the widely used milk product across the globe. It is a fermented food derived from the mammalian milk. Cheese is used in wide array of cooking depending on the desired effect. It is known for its benefits since it contains good quantity of calcium, proteins and phosphorous. It is a major source of saturated fat. The choice is infinite when it comes to buying a cheese in the market. You’ll come across so many types of cheese that it becomes hard to choose one from the massive list. Cheese is produced in many countries worldwide and is available in many forms and flavors. Cheddar – Is a hard cheese and doesn’t have cracks or mould on it. It is the most popular cheese known and used by the mankind. It is available in a variety of ranges starting from mile to mature. They are suitable just for every cheese recipes. It is popularly used for applying on sandwich, baking or as a sauce. Fresh cheeses – They are unripened cheeses that typically have short shelf lives (1-3 weeks), do not have a rind, and are high in moisture. While many cheeses improve with age, the opposite is true with fresh cheeses since these cheeses have flavor components that most resemble fresh milk and any sort of aging will only sour its flavor. These cheeses are typically bright white in color, smooth and creamy in texture, and possess flavor components that are tangy, milky, tart, and buttery. Examples of fresh cheeses include Ricotta, Mozzarella, and Petit Billy. Cottage cheese – It is a cheese curd product with a mild flavor. It is drained, but not pressed, so some whey remains and the individual curds remain loose. The curd is usually washed to remove acidity, giving sweet curd cheese. It is not aged or colored. Different styles of cottage cheese are made from milks with different fat levels and in small curd or large curd preparations. Cottage cheese which is pressed becomes hoop cheese, farmer cheese, pot cheese or queso blanco. Cottage cheese can be eaten by itself, with fruit, on toast, in green salads, or used as an ingredient in recipes such as lasagna, jello salad and various desserts. Gouda – It is a yellow cheese made from cow’s milk. The cheese is named after the city of Gouda in the Netherlands, but is currently made and sold all around the world. Depending on age classification, it can be any time between a number of weeks to over seven years before it is ready to be eaten. As it ages, it develops a caramel sweetness and sometimes has a slight crunchiness from salt-like calcium lactate that forms in older cheeses. Blue cheese – This cheese has an acquired taste. Very few people enjoy it due to its distinct taste and aroma. Some of the blue cheeses available in the market are Danish or Gorgonzola and Roquefort, which are popular for using over salad. Goat cheese – This cheese is made of Goat’s milk. This cheese is normally soft and easily spreadable. It is also known as the healthier cheese compared to other cheese types and is often used as diet cheese because of its low calories. Feta cheese – This soft cheese which is easy to crumble has Greek origins and is white in color. It is quite popularly used in salads especially Greek salads. Some of the flavors available in this are black pepper, herb salted etc. Mascarpone cheese – It is an Italian made cheese and is known for its taste and creamy texture. However this is very rich in fat and calorie content and due to which people don’t use it often as they use other types of cheeses in cheese recipes. Cheese which is fresh in nature should be kept in the fridge with their original containers. The fresh cheese should be consumed quickly or else it is bound to loose its taste. It is also advisable to store the cheese in a Ziploc bag by punching holes in the sides. The consumption of cheese is seen widely across the world and cheese in India is still an average consumer. Cheese is slowly gaining popularity in India and is a lesser consuming country compared to any other foreign countries. There are varieties of dishes in India where cheese is being used these days and therefore more and more people are getting used to it. Many people believe cheese is not a healthy product due to the presence of fat elements in it. However this is a misconception. Only few variety of cheese are rich in fat and calorie and the rest are low calorie ones. You can choose them based on your needs. Please do add to the content.